Under Georgia auto repossession laws, creditors have the right to repossess automobiles if the car owner stops making car payments or otherwise violates the sales contract. Simply put, creditors can send tow truck drivers to confiscate a borrower’s parked car right in front of her own home. However, to repossess a car without getting a court order, creditors must meet several requirements under Georgia law. When consumers purchase a car by financing it or leasing it, they must make timely monthly car payments to the creditor. Until the consumer makes her last car payment, creditors retain the right to repossess the vehicle under Georgia state law and the sales contract they entered into. Most sales contracts allow a creditor to repossess the vehicle if the consumer misses a payment, makes a late payment or violates any other term of the contract. The sales contract provides that the creditor retain a lien on the vehicle. The automobile’s certificate of title must contain a notation that the creditor has a lien on the automobile’s title. In addition, the creditor may retain possession of the certificate of title under Georgia law until the consumer pays off the car loan. A creditor cannot “breach the peace” while repossessing an automobile. That means the tow truck driver the creditor sends to take the automobile cannot use force, the threat of force or violate any trespass laws while repossessing. If a creditor did breach the peace in affecting repossession, it may be liable to the borrower for any damages resulting from the repossession. Under Georgia law, if a borrower has paid less than 60 percent of the car loan by the time the creditor repossesses, the creditor can simply keep the car to satisfy the outstanding debt. The creditor, however, must send notice to the borrower of its intention to keep the car. The borrower then has 21 days to object. If the borrower objects in writing, the creditor must resell the vehicle. If the borrower has paid 60 percent or more of the car loan at the time of repossession, the creditor must resell the vehicle at auction. The creditor can sell the car either at public or private auction. However, all aspects of the sale--time, manner and place--must be commercially reasonable. The borrower can redeem the car and get it back under Georgia law if she meets several conditions. The borrower must pay all outstanding payments as well as any other reasonable costs the creditor incurred because of the repossession. These costs include penalties, interest, towing fees, storage fees and attorney fees. If the borrower can pay all of those expenses before the creditor sells the car or enters into a contract to sell it, the creditor must return it. Scrofano, Joseph. "Georgia Auto Repossession Laws." 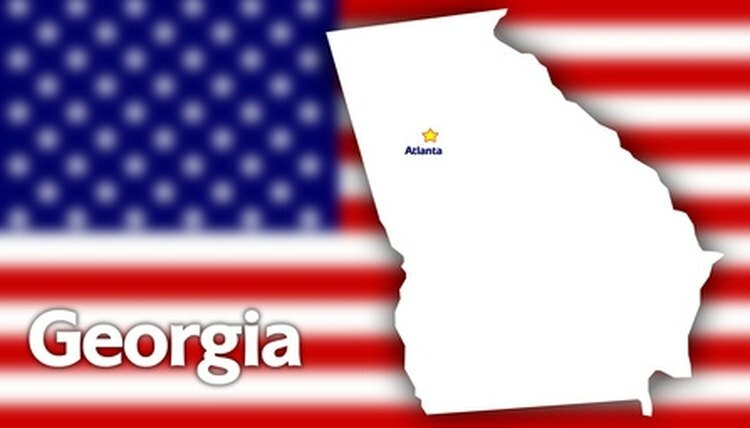 , https://legalbeagle.com/6706642-georgia-auto-repossession-laws.html. Accessed 24 April 2019.